The Green Solution, a large retail marijuana chain in Colorado, wanted a foothold in Canada’s expected recreational cannabis market. Organigram, among the growing number of federally licensed Canadian growers, needed know-how and a name. 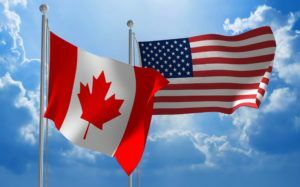 And so was born a partnership indicative of the growing synergy between the U.S. and Canadian cannabis industries. It reflects a trend that’s expected to bring together more companies. Another U.S. cannabis brand, Snoop Dogg’s Leafs by Snoop, has inked a partnership with Canadian medical cannabis cultivator Canopy Growth Inc. to produce and sell the rapper’s products north of the border. And Seattle-based Privateer Holdings, which owns both the American cannabis brand Marley Natural and Vancouver, British Columbia-based cultivator Tilray, has raised the possibility of Tilray producing and selling Marley Natural in Canada. The Green Solution (TGS) partnership made sense for Organigram CEO Denis Arsenault. It meant he wouldn’t have to acquire the expertise to produce cannabis infused products, which were approved for sale in Canada’s MMJ dispensaries in 2015 and are expected to be a significant part of the nation’s adult-use industry. Major movement on that front is expected in 2017. That’s especially true when companies are preparing for the expansion and new regulations that will come with Canada’s recreational market. Under the agreement, announced last September, TGS licensed its extraction and infused products intellectual property to Organigram. “TGS is very excited to enter the Canadian market and to partner with one of the industry’s leading licensed producers,” Eric Speidell, co-CEO of The Green Solution, said in a statement when the deal was announced. TGS officials declined to be interviewed. The benefits to parties in such relationships are so compelling that Paul Pedersen, a cannabis consultant with Greywood Partners in Vancouver, said he was surprised there aren’t already more partnerships. “But I’m sure we’ll be seeing more deals like this,” Pedersen said, noting there are nearly 40 federally licensed medical marijuana producers in Canada, none of whom are allowed to advertise beyond their websites. Branding was also an important reason Bruce Linton, CEO of Canopy Growth, entered an agreement through its Tweed subsidiary to produce and distribute in Canada products from Leafs by Snoop. “Canadian consumers really do want brands,” Linton explained, “because a brand fits into a supply chain in which you can actually trust what you’re getting. And that trust equation is a very big reason the market is growing so rapidly in Canada because there’s a lot of cannabis in Canada that you don’t know where it came from (and) because you don’t know what was sprayed on it. While consumers may like brands because they are perceived to be more trustworthy, Linton likes them because they help attract attention in an industry that prohibits advertising. “When you do something that’s unique and attracts social media and general earned media attention, you’re generating advertising right there,” Linton said. But it does take some effort and planning to get the most out of it. For example, Tweed and Leafs by Snoop decided to announce their partnership – after about eight months of talks, Linton noted – a couple of days before the 2016 NBA All-Star Game, which Toronto was hosting for the first time. Snoop attended the Feb. 14 event wearing a Tweed T-shirt that was seen around the world because of the media coverage. Under the three-year deal, the Ontario-based growing company will receive exclusive rights to use content and brands owned by Snoop’s LBC Holdings. Snoop will receive an undisclosed amount of cash and stock. The first Leafs by Snoop products went on sale in Canada in November, Linton said. He also dismissed speculation that having a rapper as a partner undermined the argument that cannabis is a medical product. In addition to the branding opportunities, Organigram’s Arsenault partnered with The Green Solution because it would give him access to intellectual property, especially relating to extraction and infused products. Those markets are expected to grow rapidly and, in Arsenault’s estimation, will account for potentially half the Canadian cannabis market. Organigram also hired an extraction specialist who will travel to TGS headquarters in Colorado to get familiar with the facility design and layout, equipment and technology, and methods. “Everything that’s necessary to replicate what they do in Colorado,” Arsenault said. It was also important for him to get a first-mover advantage in an infused products market he believes will be driven at least in part by companies like TGS that want to enter Canada’s recreational market. Given the benefits to all involved, why haven’t there been more such American-Canadian deals? As noted, Privateer Holdings, the owner of Marley Natural and Vancouver-based cultivator Tilray, has floated the idea of having Tilray producing and selling Marley Natural in Canada. Privateer hasn’t announced anything formal or concrete yet. Pedersen speculates that might stem from Tilray concerns the brand might be perceived as too recreational for what is now still a medical market. “Keeping a medical focus is very important to Tilray,” Pedersen said. Linton was less concerned about Snoop potentially undermining Tweed’s medical credentials. “He is remarkably oriented to the medical patient,” Linton said. “Having a brand attached to the plant doesn’t change what its attributes are. Great insightful article. I think the trend will continue and we may well see some pretty major blends of US and Canadian companies in the near future. Organigram just lost it’s standing as an “Organic Grower” and has been subject to Health Canada Recalls over contaminated products from Pesticide use!